Richard was the son of Robert Mitchell and Harriet Hannaford, born in Cincinnati, Ohio. He joined his father's company, the Mitchell & Rammelsberg Furniture Company (from 1881, the Robert Mitchell Furniture Co). By 1894, Richard was secretary of the company. He married Mary Lucia Lincoln on 14 Jun 1871. She was known to family as Pearl. Born in Cincinnati, she was the daughter of prominent attorney Timothy Danielson Lincoln and Mary Snelling Clarke. They lived in a large hilltop estate in Avondale, OH, near Cincinnati, which he named "Enniskillen" inherited from Robert. 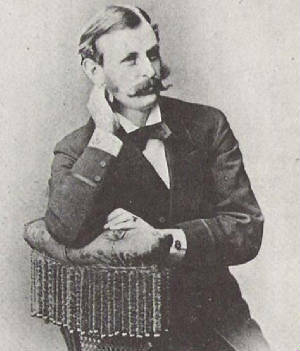 Donald C. Peirce in his article "Mitchell and Rammelsberg: Cincinnati Furniture Manufacturers 1847-1881" in Winterthur Portfolio 13 wrote that the firm catered to both high- and low-end buyers. "The mass production and distribution methods used by Mitchell and Rammelsberg had enabled the firm to manufacture and sell great quantities and enormous varieties of furniture, as surviving pieces of furniture and the firm's 1863 and 1864 wholesale price lists illustrate. The 1863 price list included sixty-three different categories of furniture and 483 patterns. Nearly 71 percent of the offerings were priced at $30 or less. Peirce noted that comparing inventory and price lists revealed that great quantities of lower-priced goods were kept in stock and more expensive items were made to order. The furniture ranged "from the plainest to the most elegant and fashionable." In 1854 an English visitor to the firm wrote that the factory was "as large as a Manchester cotton-mill, five stories high, where 260 hands are constantly employed in making chairs, tables, and bedsteads." Those workers were primarily Americans and Germans, "the English and Scotch being rejected on account of their intemperance," wrote the English visitor. 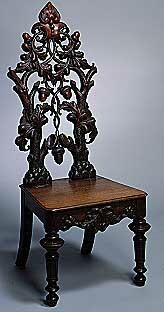 According to Witherell, "The firm employed thirty-six carvers, and judging by the quality of execution and design of this hatrack and reception chair they were indeed capable of producing extraordinary work. While the case was manufactured with machine assistance, the openwork would have required substantial hand finishing." The hatrack is rare, said Witherell, not only for its quality, early date, and firmly documented maker, but also because of its carving and naturalistic ornamentation. In 1849 the works were rebuilt on a larger scale, but when they were ready to start business was very much depressed, and then to add to the depression came the cholera epidemic. They struggled on, however, and continued adding to their capacities until they finally triumphed by having built up a good trade. When the Civil war broke out they were employing between four and five hundred men. This calamity again depressed the business, but in a few years it began to pick up again, and in time it became quite flourishing. The working force was increased from five hundred to six hundred men, and as business increased it was still further added to until a much larger number was employed. In 1871-72 the present store and manufactory-100x150 feet, six stories in height in front and seven in the rear was built, being one of the largest establishments of the kind in the United States. At present they manufacture and set up wooden mantels, which they have introduced into Cincinnati and which have largely displaced stone and iron mantels in many of the best residences. They also make a specialty of interior fittings of all kinds for offices, banks, hotels, court and state houses, as well as private residences. A wholesale as well as a retail department is conducted. The entire floorage of the factories and store covers nearly ten acres of space. In 1867 Mr. Mitchell incorporated the concern as the "Mitchell & Rammelsberg Furniture Company" and took in a number of the employes as stockholders, but reserved the first right to repurchase the stock if they desired to dispose of it, which he did at the request of the holders some years since. ROBERT MITCHELL, son of John and Jane (Peterson) Mitchell, was born in the North of Ireland in 1811, and came to this country with his parents in 1824. The family having settled on a wild farm in Indiana, Robert had to bear his share of the hardships incident to pioneer life. He is the fourth of ten children. Robert Mitchell and Frederick Rammelsberg (1814-1863) each kicked in $10,000 and founded the firm Mitchell & Rammelsberg in 1847 in Cincinnati, Ohio. 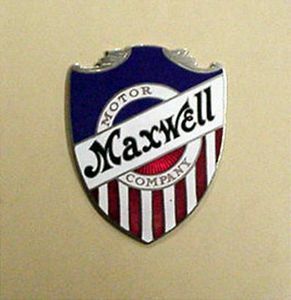 According to Witherell, Mitchell was responsible for merchandising stores and general business, while Rammelsberg supervised the factory production. Over the next three decades, the firm became one of the most successful and largest furniture manufacturers in the country. Robert Mitchell was first married in 1838, and a second time in 1864. He was always in the shop with his workmen and ever took a deep interest in their welfare. When the company was incorporated he was chosen president, but retired from any active participation in the business, choosing to leave its direction in the hands of his sons and son-in-law. The family attend Grace Episcopal Church, Avondale, Mr. Mitchell was a member of the first I. O. O. F. Lodge organized in Cincinnati, and such for many years. Mitchell and Rammelsberg Furniture Co.
40 1/2 x 65 x 29 in. 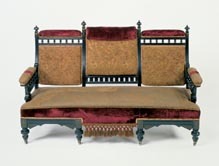 Part of a six-piece parlor suite, this sofa was manufactured by Mitchell and Rammelsberg, Cincinnati's premier furniture company in the nineteenth century. The company's original paper label still adheres to the underside of the seat on each of the four side chairs, and the original upholstery fabric is still intact. The suite is in the modern Gothic style, which was popular in this country in the last quarter of the nineteenth century. The Aesthetic movement jacquard fabric of the upholstery was inspired by exotic patterns from Eastern textiles. 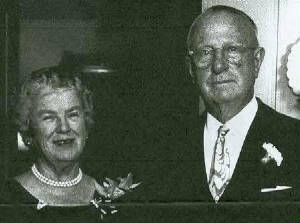 Mitchell and Rammelsberg owed its success to numerous factors. The company used modern technology such as steam-powered machines to cut its manufacturing costs; it offered a wide range of styles including Renaissance revival, Queen Anne, Japanese, Egyptian revival, and neoclassical; it produced a variety of high-quality furniture forms for the home or office and offered them at a variety of prices; and it was located in a prosperous city with a rapidly growing population. By the 1870s, the firm had opened branch retail stores in St. Louis, Memphis, and New Orleans as well as a six-story retail building in Cincinnati's fashionable retail district. In addition to supplying home and office furniture, Mitchell and Rammelsberg sold furnishings for hotels, stores, churches, and schools. The company retailed furniture, upholstery, and other household accessories made by other American and European manufacturers as well as its own wares. Mitchell and Rammelsberg displayed its furniture at the 1876 Philadelphia Centennial Exhibition, where it was highly praised. Mitchell and Rammelsberg was among the first in Cincinnati to adopt steam-powered machines. Its early success resulted in the opening of branch stores in St. Louis, Memphis, and New Orleans. By the 1870s the Cincinnati business included a vast factory complex and an impressive six-story retail building in the city's fashionable Fourth Street retail district. The company continued in business until the 1930s, though it was called the Robert Mitchell Furniture Co. after 1881.
executive; b. Cincinnati, Ohio, Nov. 2, 1881; son of Richard Hannaford and Mary (Lincoln) Mitchell; educated St. Xavier College, Cincinnati; Yale Univ. (A.B., 1904); married, Sara Moulton Sherman, of Des Moines, Ia. July 18, 1910; children: W. Ledyard, Jr., Mary S., Sherman, Sara A., Ann S. With Rob't Mitchell Furniture Co., Cincinnati, 1904-17; with Maxwell Motor Corpn., Detroit, from 1917 until taken over by Chrysler Corpn, with which he has been since. While at Yale, Ledyard was a distinguished member of the football team, being remembered for kicks that helped Yale to victory over Ivy League rivals Harvard and Princeton in the 1903 season. 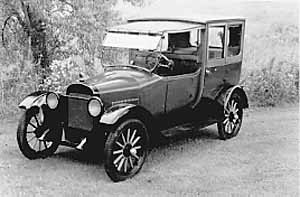 The final Maxwell Motor Company car was produced in 1924. In its first one hundred years, Cincinnati evolved from an isolated frontier outpost to one of the nation’s leading commercial centers. At the forefront of the American Industrial Revolution, the city flourished due to its location on the Ohio River. Between the 1780s and the 1850s, there were few towns in the United States which offered as many commercial opportunities as Cincinnati. During this period, Cincinnati quickly grew as a center for trade and commerce, and by 1859, the city was among the largest industrial centers in the United States, second only to Philadelphia. The Queen City manufacturers were among the leading producers of pork, machinery, clothing, soap and candles, boots and shoes, whiskey, ales, books, and printed materials. This rise of industry in the Queen City also led to the development of art industries like furniture, silver, and ceramics. The furniture industry in Cincinnati started soon after the city was incorporated, established as early as the 1820s and 1830s by artisans like James Reed and William Hawkins. The furniture created in the city during this period reflects a desire for stylish, high-quality goods. By mid-century Cincinnati had become one of the leading centers for furniture manufacturing in the Unites States with 120 furniture manufacturers employing 2,850 workers by 1859. The early availability of steam power and machinery in the city greatly changed the business character of the furniture industry and increased the amount of wares produced and sold. The Mitchell & Rammelsberg furniture Company, established in 1847, was one of the largest furniture companies in Cincinnati.